Is There a Turkey Day in China Too? Most Americans do not celebrate the Chinese New Year (the Spring Festival) and most Chinese do not celebrate Thanksgiving. After all, Thanksgiving is an American holiday that Canadians also celebrate, but on the second Monday in October. If you are visiting China during Thanksgiving, you have a choice between Peking Duck, which is easy to find, and turkey. In fact, if you are visiting Shanghai, the Shanghai City Guide is there to help you find where to buy your favorite food. There are even three Walmarts in Shanghai, and Time Out Beijing provides a list for China’s capital city. In the mines the Chinese were often forced to work sites that others had abandoned as no longer productive and, by hard work, made these claims pay. As more men arrived in the gold fields and the amount of surface gold dwindled, tensions increased. 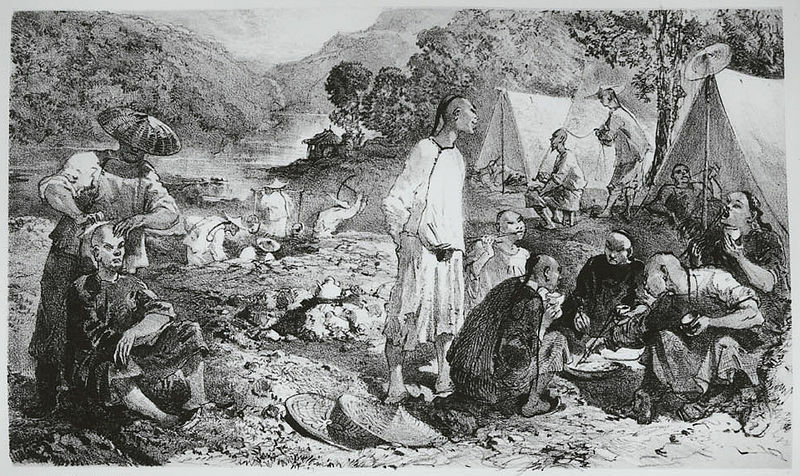 Thirty-five Chinese showed up at Camp Salvado in 1849 where men from El Salvador had worked and here they found rich placer deposits. Chinese flocked to a place where they were accepted and Tuolumne County’s Chinese Camp survives to this day. But by 1850, a $20 per month tax on each foreign miner was imposed. 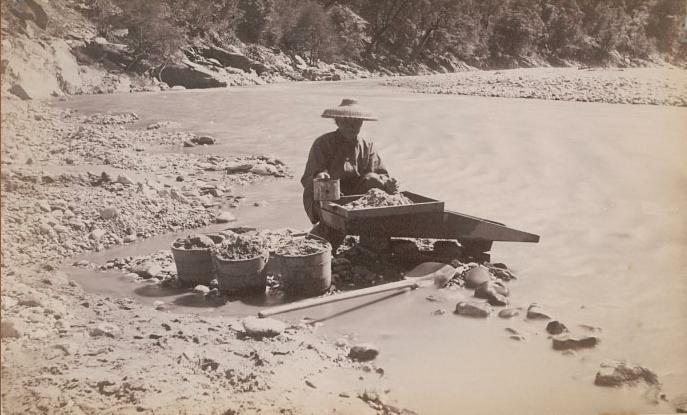 By 1852 Chinese were forced from Mormon Island and Horseshoe Bar along the American River, then from Colombia in the southern mines and Yuba City in the northern. 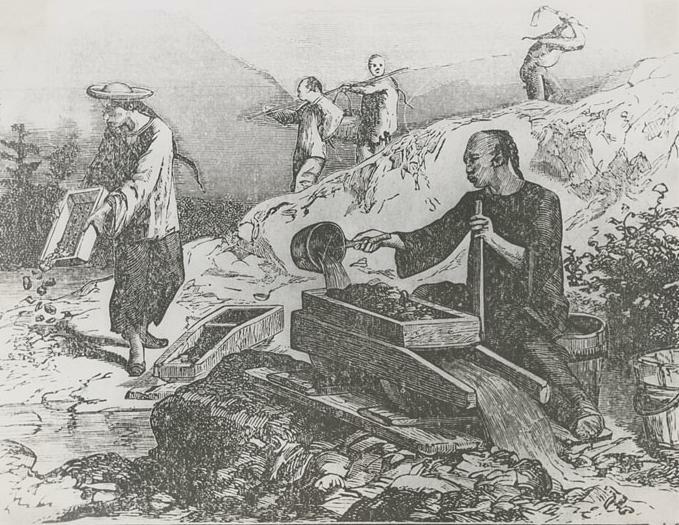 In 1856 Chinese paid $70,000 for the right to mine in Mokelumne Hill. By 1868 almost all Chinese had left the mines to work on the transcontinental railroad or in Chinese operated businesses. First published May 23, 2011 in My gold rush tales. 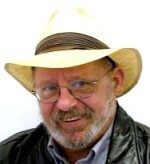 John Rose Putnam is the author of four novels. 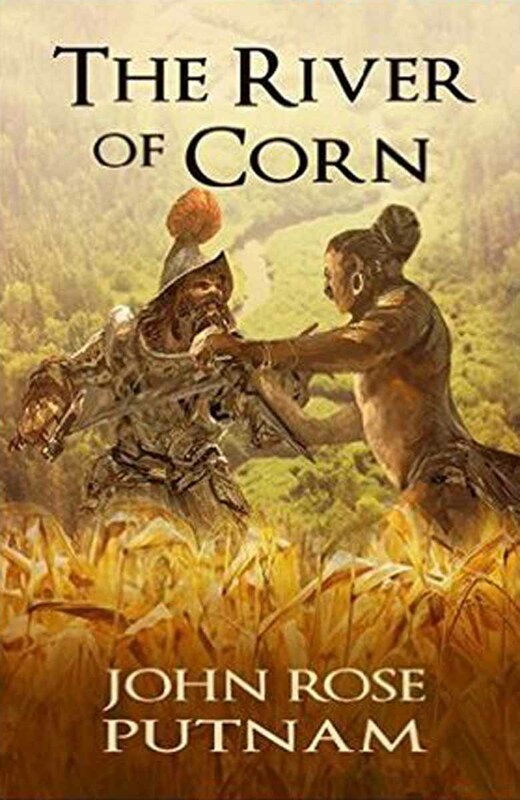 Of all the diverse peoples that poured into California after the discovery of gold, none stood out more than the Chinese. Radically different in dress, language and culture these new men were first welcomed because of their willingness to work hard for low wages at any task presented them. At the start of 1849 only 54 Chinese were in California. By1852 there were nearly 12,000 living here and only seven of them women. Because of turmoil in Canton another 20,000 would arrive that same year. A community of Chinese Americans quickly grew in San Francisco. They marched in Fourth of July parades and rejoiced at California’s statehood, but celebrated their lunar new year in their traditional way. 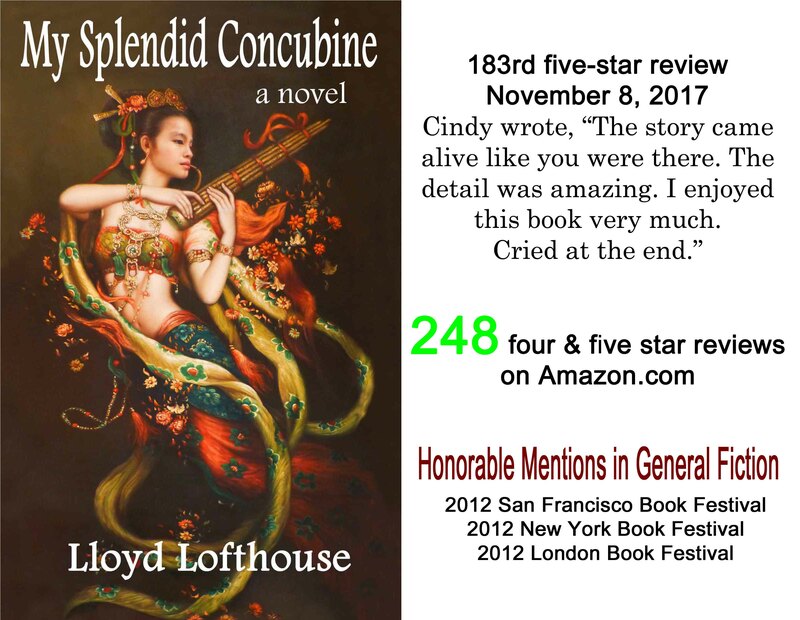 In 1852 a Cantonese opera was performed at the American Theater and in 1854 a Chinese language newspaper began publishing. The Kong Chow Association formed to help the new arrivals adapt to their new home. Then another, the Chew Yick, elected Norman As-sing, an English speaking owner of the Macao and Woosung Restaurant as their leader. Soon there were six associations called tongs that combined to form the Six Companies to better represent Chinese interest. You are currently browsing the archives for the expatriates category.